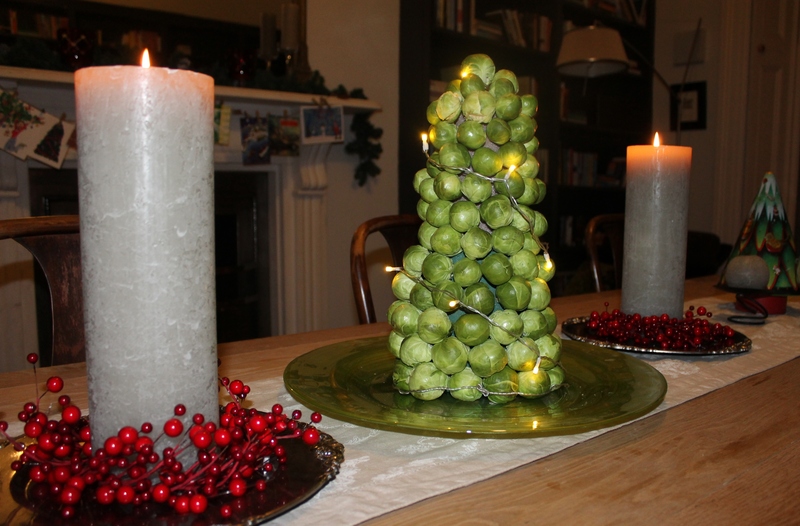 For Christmas last year I set myself the task of creating a table centrepiece using brussels sprouts. 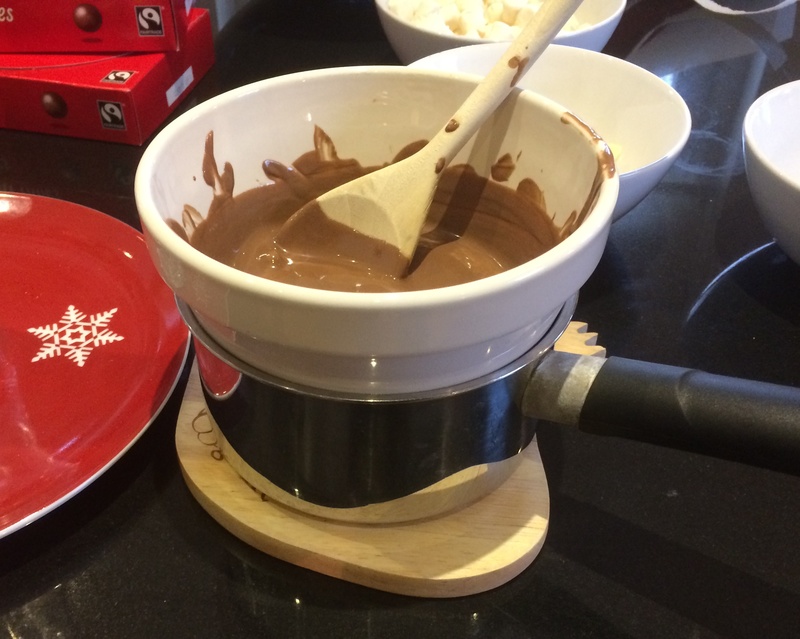 There were both Pros and Cons to this endeavor. The Pros: the sprouts box was ticked for Christmas dinner and (the best bit in my opinion) they did not have to be eaten. 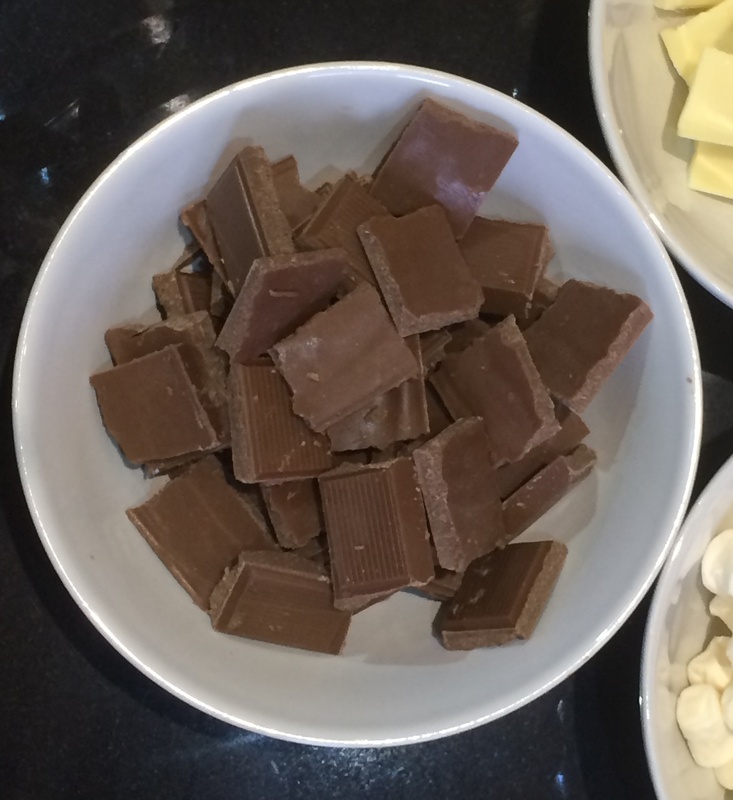 The Cons: it took a fair bit of time to do it and (sadly) it deteriorated pretty quickly over the following few days, ending up in the compost! 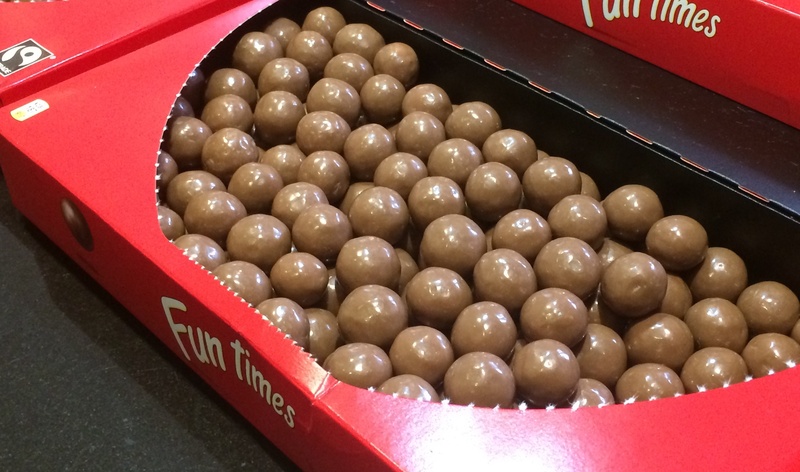 Chocolate was an obvious choice (what’s not to like?) 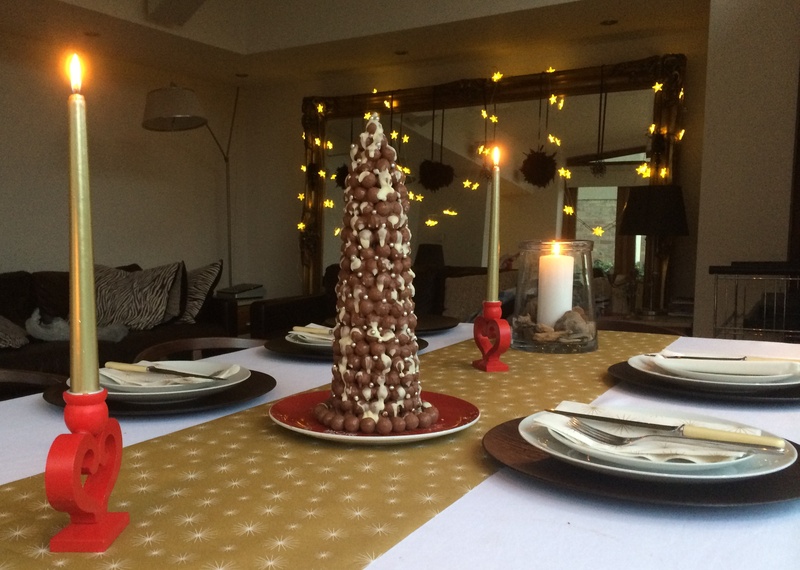 so I set about creating a simple and speedy Christmas tree out of Maltesers. 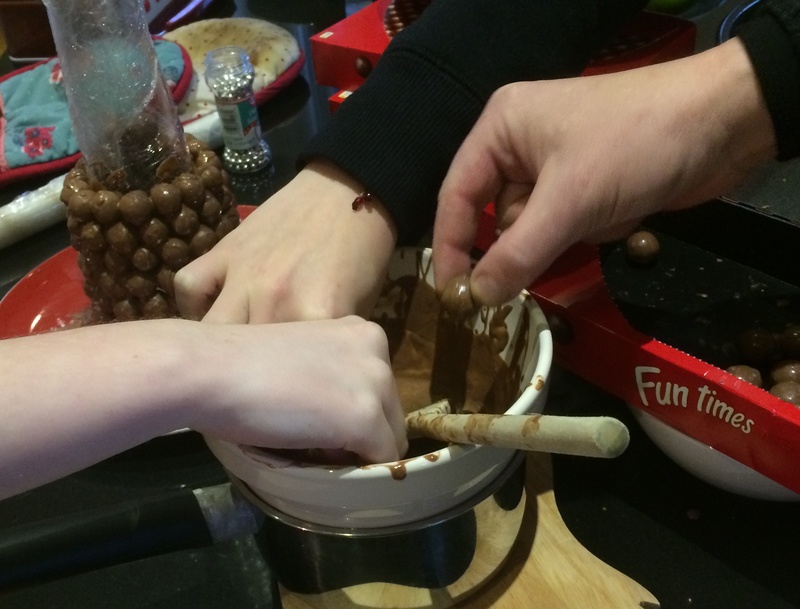 The idea was to simply melt the milk chocolate over a pot of water and to dip each Malteser into it in order to be able to stick them together. 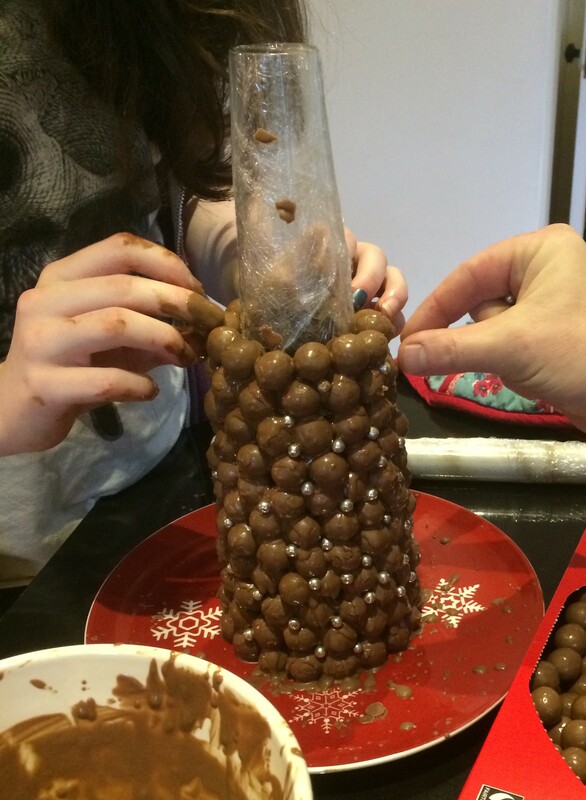 I was unsure regarding the stability of the structure and decided to cheat by using a vase which would give a shape to work to. 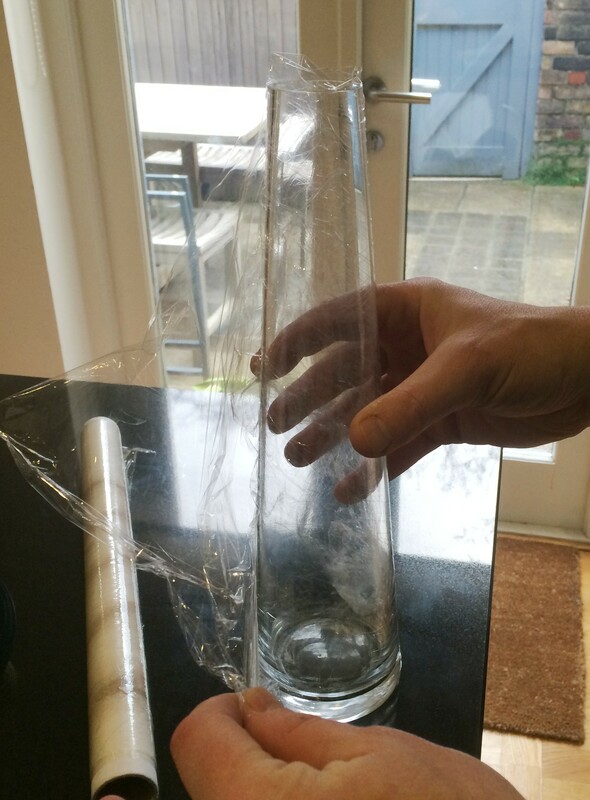 This I wrapped in cling film as shown above before placing on a plate. 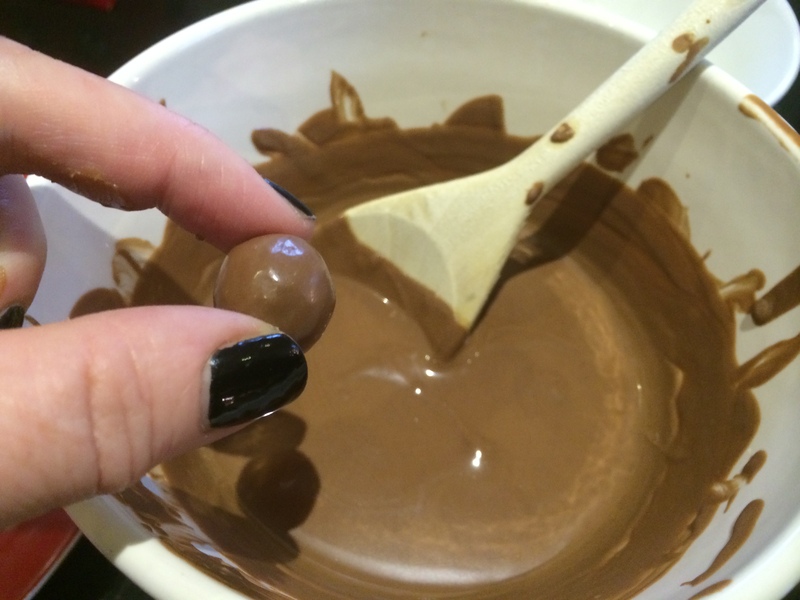 The chocolate was then melted. 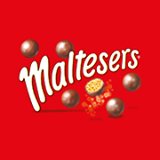 Each Malteser was then dipped into the melted chocolate before placing it on the plate, working around the vase starting from the bottom up. To maintain stability it was necessary to stop after every couple of rows to allow to set a little. 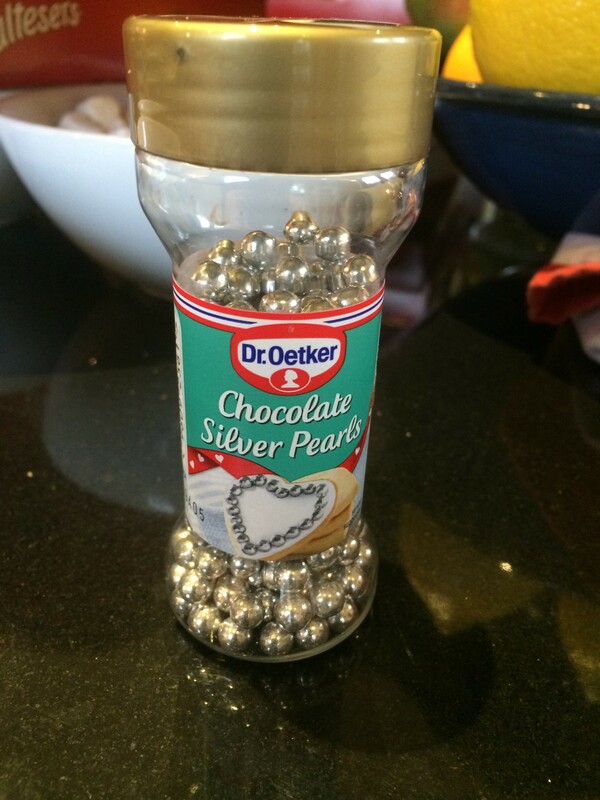 The silver decorations were added as it progressed and was still soft. The most difficult challenge was to keep the thieves at bay! 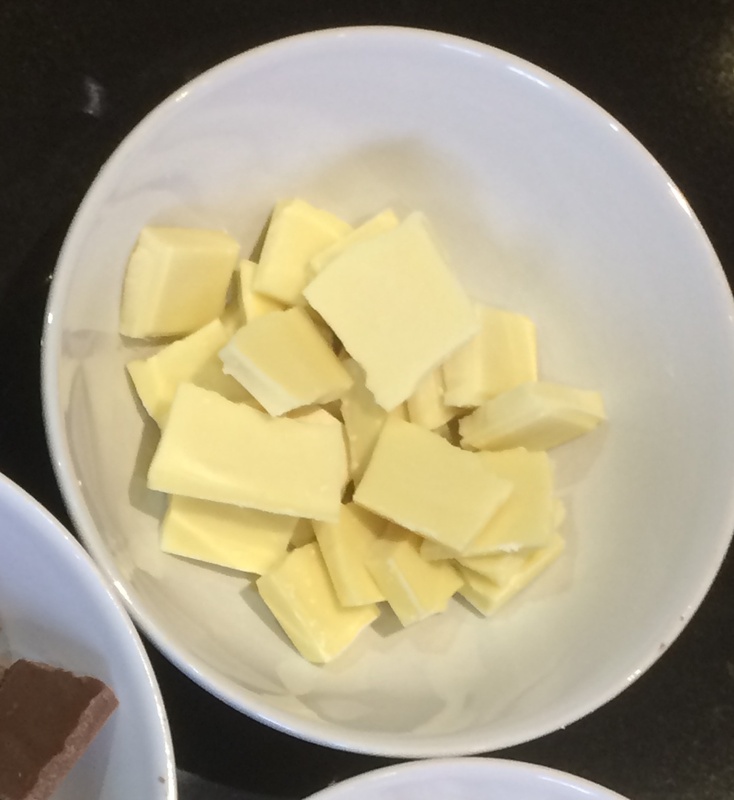 When the tower was complete the white chocolate was then melted and poured over to create a light dusting of snow! 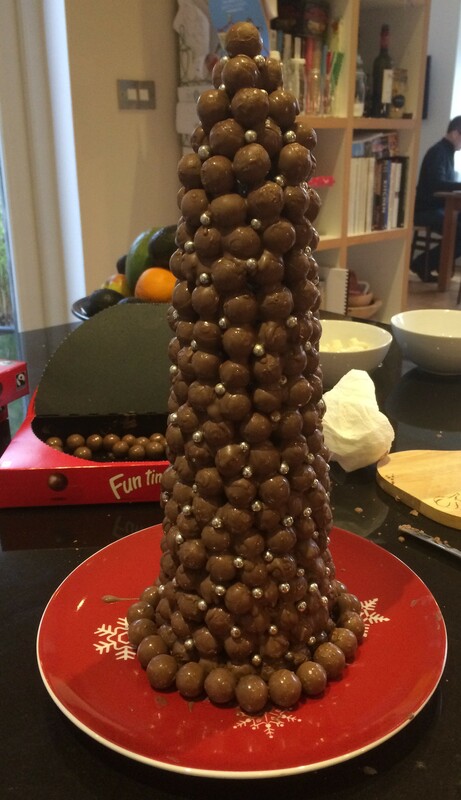 This entry was posted in seasonal and tagged christmas, Christmas cake, maltesers, table centrepiece, tree trimming by Passionate about Design. Bookmark the permalink.